The development of a growbag takes a great amount of time, research and perseverance. Nevertheless, at Dutch Plantin we continuously aim to improve our products quality and performance. We’ve therefore tested no less than eight different new kinds of growbags in the past year. Two of them proved to be very promising. One of these two growbags is being tested and researched in the Netherlands. It’s a new type of pressed growbag, especially developed for growing vegetables and soft fruits. We’re currently running tests with peppers and tomatoes. 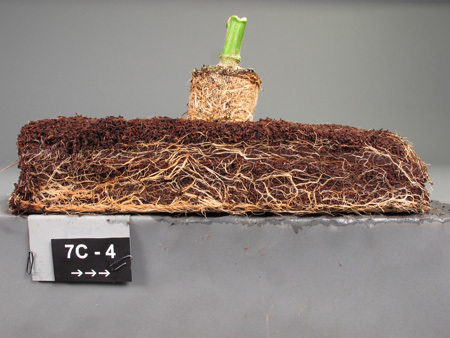 This is the second year of testing and we will closely study the performance of this growbag throughout 2011. At this stage we can conclude that this product has excellent characteristics in comparison to growing soft fruits and vegetables on traditional substrates like rock wool. We are planning to finish all the tests by the end of this year, so we can supply our clients with this new growbag at the start of 2012.